Good Credit vs. Bad Credit – What’s it all About? When was the last time you actively considered your credit score? Perhaps you thought about it just before applying for a line of credit, only to realise that it wasn’t up to scratch, with your loan application being rejected. Most of us tend to take a less-than-proactive approach when it comes to our credit – keeping our head buried in the sand until the last minute (i.e. when it dawns on us that we might actually need a loan). 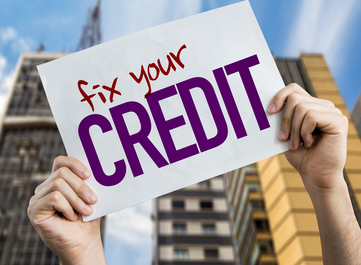 Unfortunately, credit scores can’t be repaired overnight. Like our cars, credit scores require a degree of maintenance – it pays (no pun intended) to annually check-up on our credit health. According to ASIC’s Money Smart, Australians are entitled to check their credit report for free once a year. Credit providers use the information in credit reports to establish whether an applicant can afford a particular loan, and whether they are likely to repay it on time (or at all). If you find that your credit score needs some TLC after reviewing your report, there are simple steps you can follow to get it where you want to be. Don’t be debtless! Go forth and credit a credit account with a small limit because lenders don’t favour borrowers without a credit history. You can start as small as you need to: a mobile phone plan, Internet service or rental payments are all valid proof of payment history. A debt might be listed twice. This one is a no-brainer. The best predictor of your future behaviour is past behaviour – if you want someone to trust that you’ll make reliable and punctual repayments, start making reliable and punctual payments now! Punctual repayments are exactly when your potential lender is looking for in your report. What is a hard enquiry? A hard enquiry is the name given to the process of a prospective lender making an enquiry on your credit report. Having too many hard enquiries on your account doesn’t look good – it implies that you’re desperate for cash and/or have been knocked back for a loan on more than one occasion.